After inviting women to participate in its punch process earlier this semester, the Spee, a formerly all-male final club, has accepted some women as members and officially gone co-ed. “The Spee Club has elected a class of both men and women. The club values the privacy of all its existing and incoming members, and therefore has no further comment at this time,” Spee Club President Matthew E. Lee ’16 wrote in an emailed statement. 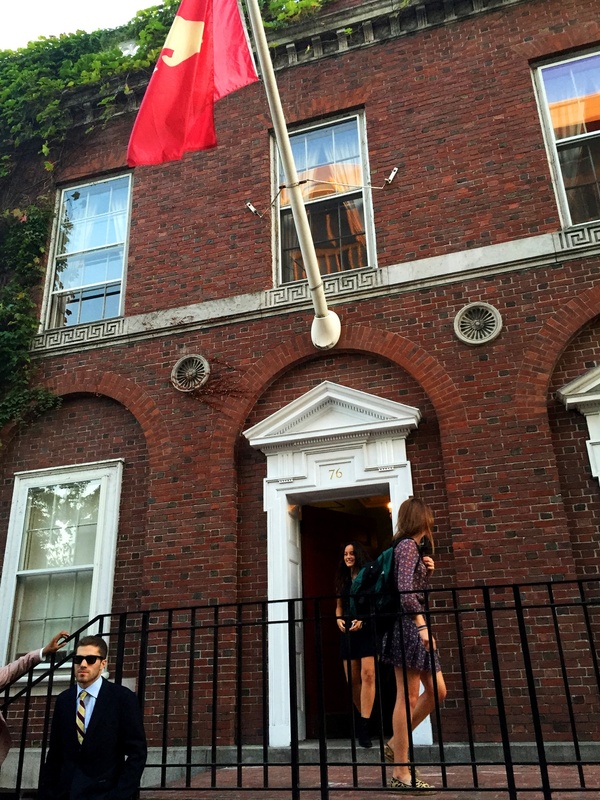 Students exit the Spee Club's first punch event on Mount Auburn Street earlier this semester. The club’s induction of women follows a recent vote from the Spee to invite women to its punch process, which started in mid-September. Since that time, the Fox Club has also gone co-ed, as officers directly offered admission into the club to a group of women, instead of inviting them to rounds of a selective punch process. Female members of the Fox will help lead a women punch process next semester, according to a letter from undergraduate officers to graduate members. As students host more discussions about the College’s social life, administrators, including Dean of the College Rakesh Khurana, have ramped up criticism against the unrecognized single gender clubs. It is unclear exactly what involvement administrators may have had in the Spee and Fox’s decisions to go co-ed. Fox Club officers feared repercussions if they did not submit a proposal to go co-ed by Nov. 1, according to their letter to graduate members. Khurana, for his part, has refused to comment on whether he has instructed male final clubs to go co-ed and whether administrators would consider barring undergraduate membership in the male groups. At least one other male final club—the Delphic—has discussed the option of merging with one the College’s five unrecognized female final clubs. Delphic President Joe F. Barbato ’16 wrote in an email in late October that club leaders had not come to any decision.